Vans are versatile vehicles that tend to hold their own on the Sherwood streets, and opting for a used van provides this same versatility with monetary savings. 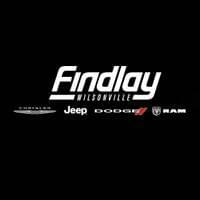 Check out the best used vans for your money, then head to Wilsonville Jeep Ram in Wilsonville today to see our inventory. Finding the right used van means taking a few for a test drive to see which one fits your needs. Wilsonville Jeep Ram has an assortment of used vans to choose from. Visit us today to value your trade or learn more about our financing options, then bring your new-to-you van home to Salem today.